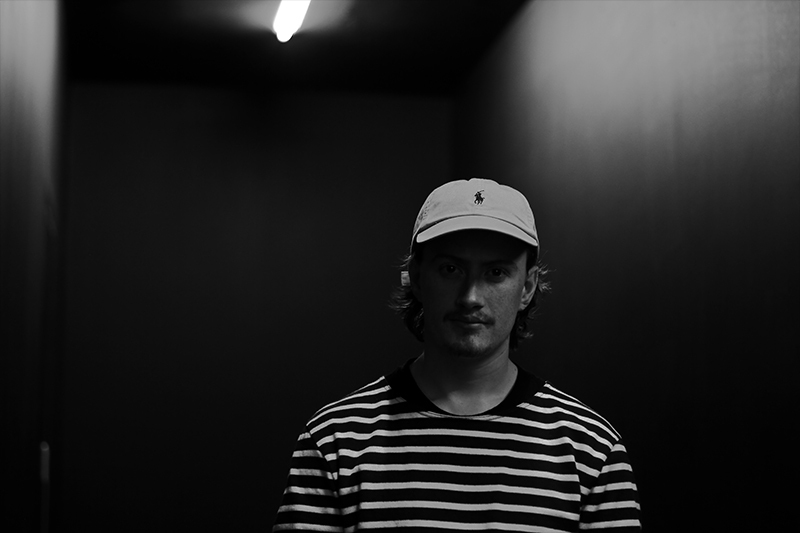 A purveyor of belligerent and uncompromising techno, Ansome's (aka Kieran Whitefield) career began after studying sound design and music production at college in his home county of Cornwall. After making the move to London,Whitefield immersed himself in the club culture of the U.K. capital, setting up the fledgling dubstep-meets-techno label Disco's Dead while working on his own productions. At the beginning of 2014, Whitefield's first release appeared on the Swiss label Files Records and kickstarted a barrage of releases that year. Putting Disco's Dead to bed, Whitefield started up the label South London Analogue Material to put out his and other fellow producers' material, with a split single with fellow South Londoner Catch coming first. Known for his bolstering live performances and the frequent use of modular synthesisers in his productions and live performances he is one of the primary names that comes up when the topic of modular comes up. Hestands out when performing live with his head in between the wires and flashing lights. The Penny and Pound EP -- on techno stalwart Bas Mooy's Mord Records -- appeared at the end of the year, while Whitefield's live set, using a full hardware setup, saw him play at legendary European clubs such as Tresor, Berghain, and London's own Corsica Studios. The beginning of 2015 found Whitefield delivering the Hells Bells and Buckets of Blood EP for German label Mindcut; a few months later, he teamed up with London-based label Perc Trax for The White Horse EP. With Ansome, the perfect fit for Ali Wells' hard-edged, industrial-leaning label, Whitefield delivered his debut full-length album Stowaway on Perc Trax at the beginning of 2016. Not one to rest on his laurels, Whitefield followed the release with The Coffin Dodge EP for London label Them. In 2016 following an illustrious career, all in such a short period of time he was voted number 23 out of the top 50 live acts - on the widely recognised platform for electronic music Resident Advisor. Ansome continues to headline major festivals across Europe and with tours in Australia and New Zealand , the US, Canada and South America too!